It’s been a year since this little blog of mine obtained its .com domain name. In the internet world, that supposedly helped it gain a bit of exposure, at least more than it would have had with only a wordpress.com or blogspot.com address. Still, I never imagined the extent of your readership. In one year, you and your fellow readers have logged on from 93 nations on six continents. 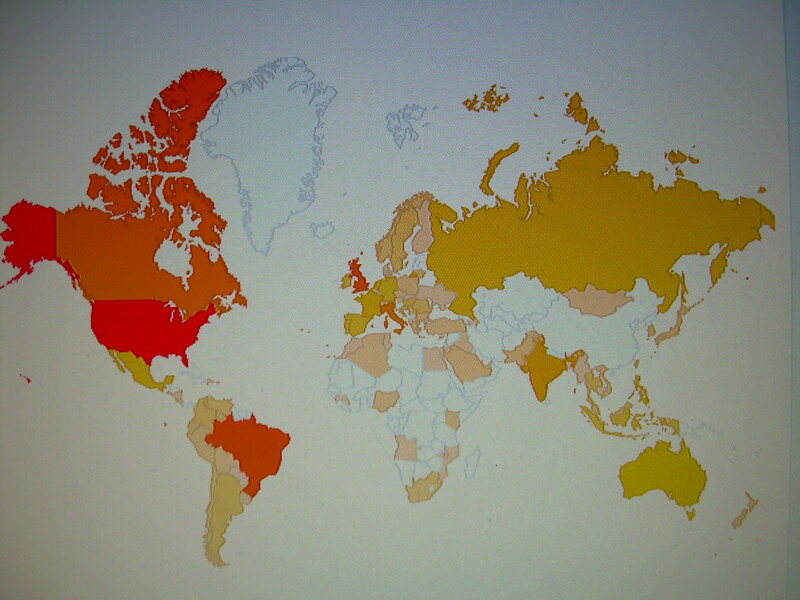 Check out my stats map below — you’re on there, in color! We are a global bunch, a modern-day community. Because you are reading, I will keep writing, and we’ll see where this goes. Happy 1-year anniversary to you, Readers Without Borders! This entry was posted in Uncategorized and tagged International reach of blogs, International readership of .com blogs.